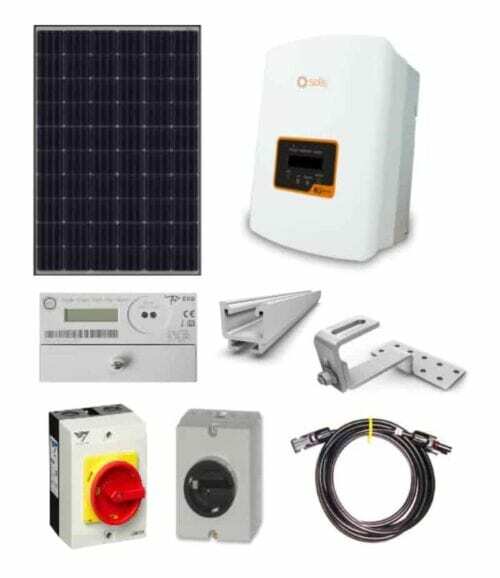 The Grid Tied All-in-One 4kw DIY Solar Package with Solis and JA Solar is an all-in-one solar kit at best price you can get. This package was specially designed for customers in the UK meeting all requirements of MCS . This Grid Tied All-in-One 4kw DIY Solar Package with Solis and JA Solar is your perfect choice to start your electricity production. This Grid Tied All-in-One 4kw DIY Solar Package with Solis and JA Solar which is not only easy to install, but also allows for quick grid connections. 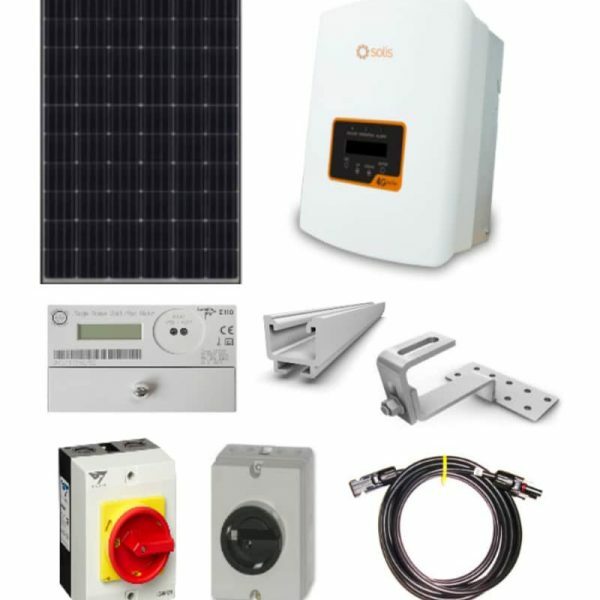 The high efficiency dual MPPT Solis inverter will generate you the AC Power from your solar panels which you can install on your roof with the Schletter mounting system (included in the package). The Grid Tied All-in-One 4kw DIY Solar Package with Solis and JA Solar is a solar system that fits your needs.